My little honey girl Ella, wasn't feeling the hottest today. I think some of the kindergarten germs finally caught up with her! What better to feed her than some homemade chicken noodle soup?? Reams Homestyle Egg Noodles are my absolute favorite noodle to use when making chicken noodle soup. They are almost like a dumpling texture, without the hassle of actually making dumplings. The soup turns out delicious and it's so comforting. Comfort food is the best, especially when you're sick and need something to warm you up. This hits the spot! I hope you enjoy it as much as we do! In a large soup pot, heat olive oil over medium high heat. Add chicken breast and saute until cooked through. Add onions, celery, carrots and saute, stirring often, for 5 minutes. Add chicken broth, bring to a boil and add frozen egg noodles. Reduce heat to medium and continue boiling for about 20 minutes or until veggies are tender and noodles are cooked through. Add parsley, salt, pepper and remove from heat. Chicken Noodle Soup is so comforting! 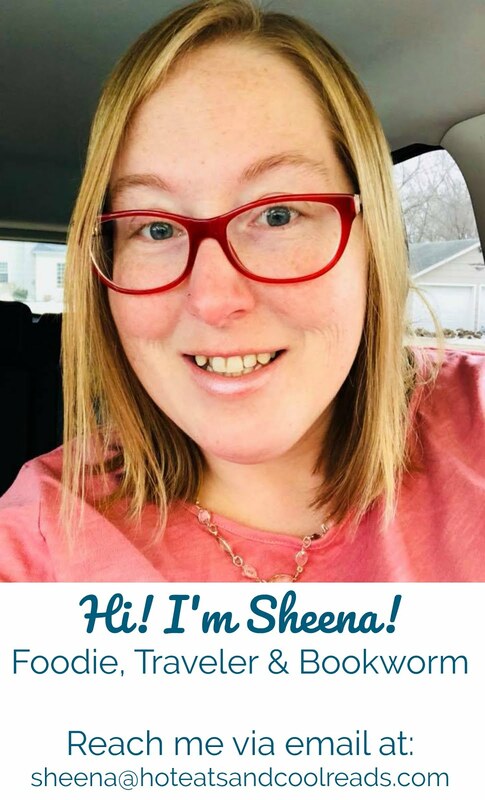 This looks great, Sheena! Mmmm there's nothing like a bowl of some good chicken noodle soup! I just made some this week too! Looks beautiful!! Thank you so much for sharing this on Manic Monday!! 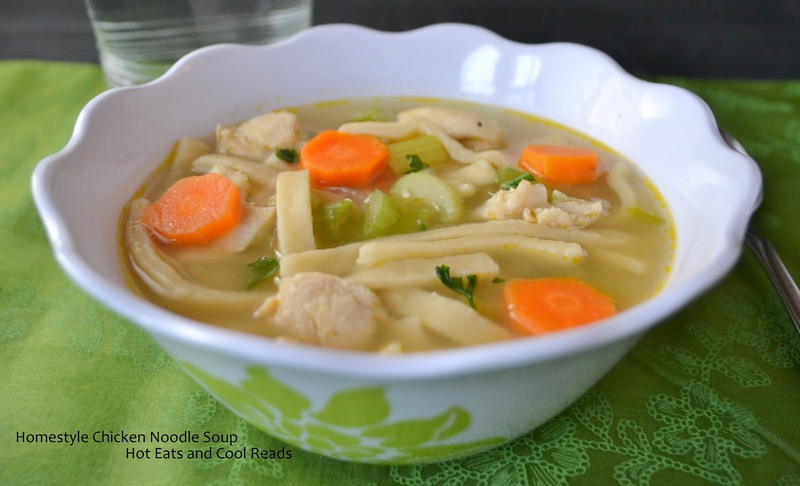 I love chicken soup :) pinned and shared!! Really classic chicken soup. I hope you'll share it on this chily day... foodie friday. Heartwarming and perfect for the cold and rainy fall season here in the Seattle area! 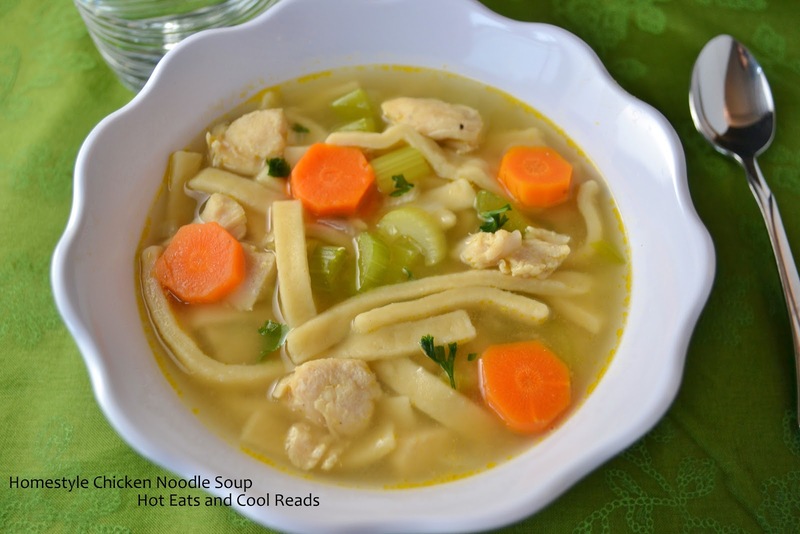 There is really nothing better than a great bowl of Chicken Noodle Soup. Now this is how chocken noodle soup is supposed to look! Fantastic recipe! Thanks for linking up at Foodie Friends Friday! Yum! Nothing better than homemade chicken noodle soup and this looks scrumptious! Thanks so much for linking up to Creative Thursday. Can’t wait to see what you share this week! Have a wonderful week. How.many servings does it make?